Buildings account for 40% of carbon monoxide (CO2) emissions in the United States.These CO2 emissions come from burning fossil fuels required to heat, cool, and power all types of appliances. Conventional buildings consume 70% of the electricity produced in the United States. Green building is the low hanging fruit to reduce greenhouse gas emissions emitted into the atmosphere. Greenhouse gases directly/contribute to climate change.Thereby effecting rising global temperatures, rising sea levels, droughts,hurricanes, and wildfires. Currently over 15,000 people day now die from air pollution. In 2016 green house gas emissions were 50% higher than the average over the last 10 years. With the average C02 concentration now over 403 parts per million(PPM).The largest increase in the last 30 years! The average LEED building uses 32% less energy and saves 350 metric tons of CO2 emissions annually. New York and California (Title 24) has joined the 2030 challenge initiating CO2 restrictions by implementing mandated new and retro fit certified green building guidelines. Installing Energy star appliances, refrigerator, stove, dishwasher and tank less water heaters. Commercial retro fit EE features can include whole building energy/water monitoring 24 hrs a day. Increasing insulation in the attic walls, and sealing the entire building envelope. Installing water efficient fixtures,low flow faucets, toilets and shower heads. Additional improvements may include: grey water recycling systems, and exterior xeriscaping. Upgrading to a high performance energy efficient furnace and air conditioning unit. Sealing all HVAC duct work. . Upgrading to LED or CFL light fixtures. Installing solar panels, and storage batteries. GREEN MORTGAGES INCREASE YOUR BORROWING POWER! Green mortgages increase your borrowing power. With documented lower annual operating cost, green lenders and specialized green underwriters allow for a higher debt to income ratio which can range from 2% to 5%. This green underwriting “stretched ratio” allows the borrower more money to be applied to the mortgage, instead of reoccurring monthly expenses. (water and utilities.) These utility expenses can easily be over $500.00 dollars a month in different climate zones around the country. The average homeowner now spends over $2,000 annually in energy costs. More than a homes taxes or insurance. The intrinsic green features extrapolated over the life of the green mortgage yields measurable savings. Two thousand dollars (2K) annual energy costs saved over 30 year mortgage equals 60k more money to the borrower. (2k x 30 yrs = 60k total savings). Green mortgage benefits include: A lower annual interest rate amortized over the life of the mortgage. This savings can be substantial which can range from thousands of dollars for a single residential green mortgage to over a hundred thousand dollars in the case of a commercial green mortgage portfolio. Another green mortgage benefit is cost of the HERS report can be reimbursed to the borrower. Green mortgage funds can be used to finance energy/water efficient improvements from the energy audit or the HERS report. The ecorater can calculate the energy/water savings from a proprietary software program using the square footage of your home. This will give the home owner a rate of return on income for the selected energy/water efficiency improvements. The ecorater HERS report will also prioritize the EE/water improvements showing the most cost effective improvements to the least cost effective. Then all the prioritize green feature improvements can been retrofitted by knowledgeable green contractors. The increased appraisal value of the certified green property will be reviewed and documented by a qualified green appraiser. Upon completion the homeowner now has a more valuable, comfortable home, with no drafty air leaks to live in! GREEN MORTGAGE OR ENERGY EFFICIENT MORTGAGE? Once obscure and underutilized for decades. Green mortgages and energy efficient mortgages are often used interchangeably. The short common term is Energy mortgage or the acronym EEM. Both the energy mortgage and the green mortgage are first mortgages not a second mortgage or a lien on the property. This is an important distinction from alternative green lender financing such as a Pace loan. A common accepted definition of a green mortgage is: A green mortgage credits a homes energy efficiency in the first mortgage. With lower annual utility/water costs. Green underwriters allow for a higher debt to income qualifying ratio. This allows the home buyer to qualify for a larger mortgage amount. Fannie Mae, Freddie Mac and FHA all three government sponsored agencies(GSE) now have proprietary green underwriting guidelines for green mortgages originated by banks, savings and loans, public, and private green lenders.This has recently provided liquidity in the secondary market allowing the energy mortgage to move from obscurity to slowly gaining market awareness. Specialized green lenders are now starting to recognize green mortgages lower annual operating costs, resulting in a 32% LOWER green mortgage default rate and a 25% LOWER prepayment risk than conventional mortgages. These government GSE certified green tranches have initiated and propelled demand for green MBS securities from worldwide social investors and sovereign wealth funds. Recently Fannie Mae has included the multi family green MBS securities into the Bloomberg Index.Which acts as a baseline for performance. Individuals, more specifically millennial’s and women are interested and seeking out designated green securities from Esg brokers to invest in their green Ira and ethical 401k retirement plans. Depending on the home owner/borrower there is actually three different kinds of Energy efficient mortgages that offer you direct financial benefits. A green mortgage can be used to purchase a new certified green home, or upgrade an older conventional home to become more energy efficient, and position the older home for sale, more competitively in the housing market. In 2016 30% of all new construction is now built to a green certification. CONVENTIONAL EEM: a standard green mortgage for green lenders that originate and sell their mortgages to Fannie Mae, or Freddie Mac green underwriting now requiring up to a 30% value for whole property savings, using a new form 1106 along with the green assessment report and and on site sampling. Fannie Mae offers up to 30 basis points green discount on their green rewards programs for multi family green mortgages. The energy/water savings has been increased from 25% to 30% requirement. Submitted with 4099h report and water flow rate water bag testing. Annual Bench marking is required for a full calendar year of utilities, including water, sewer, gas, and electric.With annual performance metrics reporting to the Energy Star portfolio manager is compulsory for the life of the green mortgage with Fannie Mae and four years with Freddie Mac. Green underwriting regulations are becoming more expansive and intricate as these specialized green mortgages are bundled into green securities and sold at a premium on the world wide market. Green metric transparency validates and documents a national public data base bench marking which can be used for comparison to other green certified properties, comparison to conventional buildings and incorporated into mortgage default risk analysis. These nascent green underwriting guidelines will be continuously evaluated and upgraded as green financial markets demands are meet. Freddie Mac offers green discounts ranging from 15-30 basis points on their green advantage programs green up and green up plus. Freddie Mac also offers a green rebate for using the Energy Star scoring tool. Both GSE package their green mortgages in green MBS securities and sell them on the secondary market. A 2% basis point green premium is starting to emerge and being documented. This is in addition to all the environmental and social benefits. FHA EEM FHA Energy efficient mortgage financing includes a low 3.5% down payment. Flexible credit scores, and relaxed debt ratios. The FHA mortgage is the most popular mortgage for first time home buyers. Once the borrower qualifies for a standard FHA mortgage, They also qualify for the FHA energy efficient mortgage.The FHA energy efficient mortgage limit is raised to the lessor of: 1).The cost effective Energy/water improvements based upon the eco raters HERS energy audit. (Cost effective means the improvements pay for themselves, based upon the eco raters ROI report.) 2).The lesser of 5% of: 3). The adjusted value of the home, 4).115% of the medium price of the home or 5).150% of the national conforming mortgage limit. FHA borrowers qualify for a 2% higher debt to income green “stretch ratio”. Borrowers mortgage qualifying ratios are raised to 33% and 45% This allows the home buyer to qualify for a larger mortgage. FHA will also qualify homes that have a six(6) or higher rating using the home energy scoring tool. Due to the increased interest in home renovations On February 2018 Fannie Mae expanded the energy efficient mortgage guidelines. Manufactured homes are now eligible for renovations up to a $50,000 limit. Additional energy mortgage improvements now include homes damaged by environmental disasters, floods, storms, earthquakes and wildfires, which can now be rebuilt and financed to include resiliency improvements. As resiliency improvements become more commonplace, or mandated in high risk jurisdictions, improvements can include: foundation retrofitting, hazardous brush and tree removal in fire zones, retaining walls installed to stop water and mud flows.Storm berms/surge barriers. Resiliency improvements can be expanded to withstand hurricanes, tornadoes, wind storms and landslides. Examples can include hurricane shutters and storm windows. Also now included in the energy efficient mortgage improvements is radon remediation systems. FHA underwriting guidelines require using licensed green contractors for all renovations. VAEEM Originated by Congress in 1944. The GI bill was established to help returning eligible military personnel to become reestablished back into their communities after the war. The VA energy efficient mortgage offers unparalleled military benefits such as: Below market interest rate,100% financing with No down payment, below market average credit scores, and no mortgage insurance premium (MIP). The VA energy efficient mortgage has no limit with additional energy efficiency (EE) proceeds allowed ranging from 3 thousand to over 6 thousand(3k-6k). depending on the selected green underwriting criteria. A Hers score is an acronym for home energy rating score is issued by Resnet, a non profit that was established in 2006. The Hers score is a nationally recognized system for calculating and rating a dwellings energy efficiency. A Hers score is the overall energy efficiency rating of the home/building.The Hers rating ranges from one to hundred (1-100). The lower the score the more energy efficient the home is. A qualified eco rater completes an energy inspection of the home. Specifically evaluating interior air leakage, with a blower door test. A furnace and air conditioning evaluation which includes all HVAC duck work through out the dwelling. Insulation levels in the attic and exterior walls, window efficiency, solar orientation, and all water fixtures. A standard new home has a Hers score of 100. A Hers score of 50 means the dwelling is 50% more energy efficient than a standard new home. At the extreme end of the Hers scale is zero, If a home scores a zero means the home produces as much energy as it consumes. Thereby the dwelling is energy neutral. This is called net zero real estate and the future goal of all green building. The HERS report suggests energy efficient improvements starting with the highest ROI ranging down to the lowest ROI. Which is usually total window replacement. (Due to the high cost of windows). The energy rater uses specialized equipment such as: a blower door test, combustion analyzer, infrared camera and HVAC duct leakage test to analyze specific energy efficiency areas of the home. Each point on the Hers index corresponds to a 1% decrease in energy consumption, Green underwriting research indicates a Green mortgage default rate decreases by 4% and green mortgage prepayment decreases by 2% for each point on the Hers scale. Therefore a portfolio of green certified properties are less risky and offers superior collateral to green lenders. For the last decade…10 years…. lenders have failed to recognize these facts. Asleep at the wheel, the United States is no longer a leader in green finance. The EU is the world leader establishing the EEMAP action plan. The EU has formed a national consortium establishing the energy efficient mortgage (EEM) as a green finance tool, centerpiece to combat climate change. Integrating climate metrics, CO2 emissions, and disclosing carbon intensity. Other EU developments on the horizon include: An entire green taxonomy developing designated sustainable standards to be incorporated into financial capitol market disclosures. 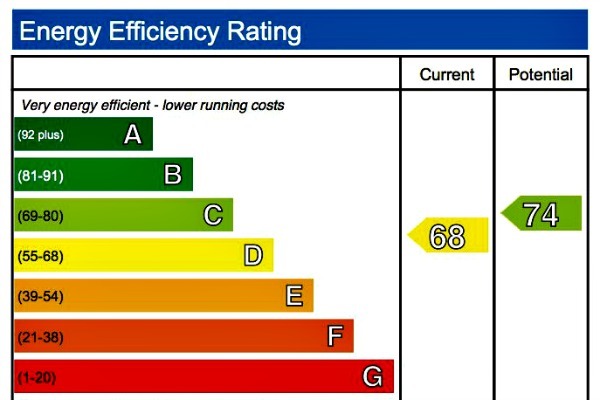 Using proprietary Ren/rate software homes are rated for EE and issued a Hers index score from 1 to 100 depending on their energy consumption. Green appraisers now include the Hers score on the green addendum as a third party documented energy efficient feature. Currently the national average Hers index score is 63 according to Resnet. However in the near future Net zero real estate will have negative Hers scores. The average Hers index score in 2015 for net zero homes was (-7). This means the home will generate 57% more energy onsite (solar panels and storage batteries) than it will consume. This excess energy can be stored in batteries,or sent back through the electrical grid to the utility company. The EE improvements must exceed the cost of the improvements to qualify the value of the selected EE improvements to be amortized by the green mortgage. Property assessed clean energy loan (Pace) currently available in about 33 states allow home owners to finance EE/water improvements and pay for the improvements at approximately 8% annually through assessments attached to their semi/annual property tax bill. The Pace loan is a lien in first position senior lien, to any subordinate mortgage. Pace loans are issued using the homes equity as collateral, not using traditional borrowing credit history or debt to income mortgage qualifying ratios. There is no income requirement for a Pace loan! Pace loans are usually initiated by contractors who have a vested financial interest and signed by unsophisticated vulnerable borrowers. Borrowers may be subject to high pressure up selling tactics from contractors. A third party energy audit is not required for a Pace loan.Therefore contractor up selling tactics could include energy /water efficiency upgrades that are not cost effective.This could lead to a high Pace loan balance that is not offset by the monthly energy/water savings.Many consumers fail to understand the monetized scale benefit of a HERS rater audit. Financially calculating the return on investment (ROI) of energy efficient upgrades.A recent analysis by the Wall street journal shows a high Pace loan default rate leading to the SEC and FBI investigating Pace loans. Fannie Mae, & Freddie Mac are prohibited by FHFA from purchasing mortgages on the secondary market with Pace loans in first position. This chain of title puts taxpayers in second position by transferring taxpayer risk from first position to second position. Pace loans have few underwriting restrictions and do not include truth and lending disclosure. In the event a property with a Pace loan is sold. The Pace loan remains attached to the property for the amortized amount of the loan. Which can be up to 20 years! This can impede/terminate future property sales encumbered with Pace loans. In the event of a Pace loan default the local government is now responsible for collecting the Pace loan debt. No bank is involved. Unpaid late balances are charged 18% annual interest. Congress is currently investigating Pace loans because they adversely effect borrowers. You can expect changes to future Pace loan financing. On December 7, 2017 FHA issued a news release FHA will no longer insure mortgages that have a Pace loan. Over 160,000 Pace loans worth 4 billion dollars have been issued. With the average Pace loan amount of $25,000. Top originators Pace nation, Renovate America, and Ygrene Energy, all continue to publicly state the false benefits of a Pace loan. Now lets document and compare a Pace loan to a green mortgage. The home equity line of credit (heloc) is a revolving line of credit secured by your home. (similar to a second mortgage) The green heloc is a flexible green financing tool that can be used to purchase and install EE/water efficient improvements/upgrades. The homeowner can select and even install the desired improvements using the interest only portion of the green heloc to pay for the cost of the energy efficient upgrades. Then using the monthly savings from the selected improvements(gas,water) pay off the interest and principal from the green heloc. This may be another cost effective way to pay to upgrade a conventional home to a more desirable energy efficient home! Additionally the homeowner should retain all documentation from the EE/water upgrades to support the increased green appraisal of the property. 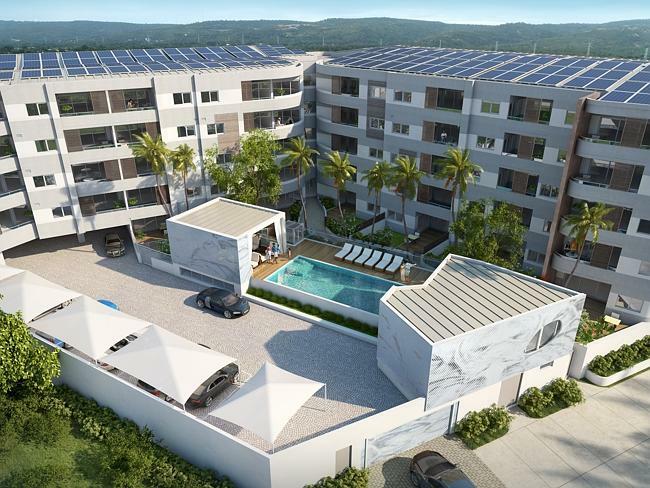 This will facilitate the marketing/sale of the property by the specialized green broker. The small business administration (SBA) is an independent agency of the Federal government. Designed to facilitate guaranteed financing for small business that require funding. Similar to Fannie Mae and Freddie Mac guaranteeing mortgages on the secondary market. All government agencies only guarantee a portion of the financed amount. The borrowers down payment provides the equity payment portion of the guaranteed loan. SBA offers up to 90% below market (fixed rate) green financing for small business. (Less than 500 employees) Up to 5.5 million government guarantee on the second mortgage per project. Green SBA loans are available with 10% down and 10% equity. One key benefit of the green 504 loan is the typical 5 million dollar eligibility per borrower is eliminated.There is no limit on the overall borrower project size(loan amount) which can range between 10 million to over 20 million dollars. The easiest way to qualify for a Green 504 loan is to retrofit a building you own, or construct a new building(owner occupied) that uses 10% less energy than you are concurrently consuming. The 10% calculation is based upon energy consumption, not a 10% savings on future energy bills. Green 504 financing is available for owner occupied business, new construction or energy efficient improvements installed in conventional buildings.Typical EE improvements include: solar panels, sealing the building envelope, installing real time energy monitoring data systems, upgrading all HVAC systems, upgrading to commercial smart lighting systems and installing all types of low flow water fixtures. The Green 504 loan benefits include: 10 to 20 year green loan amortization terms, green loan size can range from 125k to over 20 million and the borrower can qualify for multiple 504 green loans. The majority of the international public at large now believe in global warming. Climate change is adversely effected by the continued emission of green house gases.However many individuals believe climate change will not directly effect them. This false perception will slowly change with increasing global temperatures and unpredictable violent weather patterns. With increased velocity of hurricanes, wildfires and drought start to have adverse economic consequences which will eventually be financed by individual taxpayers. Reinsurance underwriters will incorporate climate risk into their models and financing (geocoding). This in turn will eventually filter down to home buyer. Effecting the annual premiums of homeowners insurance. With lower operating costs, documented higher resale value, improved indoor health benefits, and increased employee productivity green building is now rapidly expanding world wide. As the nascent green performance metrics are being analyzed, the research is clear, green building value creation and risk mitigation indicators will be incorporated into all the European member states with individual, EU member state green financing mechanisms, developing proprietary green mortgages and green securities(stocks and bonds) marketing and underwriting guidelines. With documented lower operating costs green lenders are starting to realize that green securities has a lower default rate. This in turn reduces the green lenders risk profile. As regulators and central banks require lenders to publicly report climate change risk on their balance sheets. The EU commission has recently developed and introduced “levels” a voluntary program that serves as a starting point for complex circular economy environmental performance metrics. Each “level” links the individual green building environmental impact metrics using priorities in the circular economy at the EU environment. Performance levels include: CO2 emissions, material life cycles, healthy indoor environments through out the entire life cycle of the building. These green performance metrics can be used as data points for future green mortgage underwriting guidelines. The Task Force on Climate related financial disclosures (TCFB) are requiring banks to report their climate risk exposure and become more focused on green finance metrics. Sustainability is now becoming an integral part of the green securities underwriting framework. Banks and regulators are now realizing their is a need to connect the environmental performance of real estate with dedicated green mortgage products. The Eemap two year project has introduced “green tagging” A systematic process for scaling green finance.There is now nascent data clearly showing a correlation between green building performance and green mortgage default risk. Green tagging has been implemented to track the green mortgage portfolio performance through green securitisation. Correlations between energy performance, sustainability factors, greenhouse gas emissions, financial default risk, will be analyzed, and documented. Green tagging will provide valuable insights into improved economic performance and credit risk compared to conventional grey buildings. After supporting green metrics have been established. Green banks capitol requirements will be implemented. (Lowered than conventional current capital levels). We have now entered into a “green normal™” environment for mortgage analytics. No longer is a simple FICO score sufficient for calculating consumer risk. Green tagging combined with a green virtual balance sheet will become the standard baseline for selecting, verifying, monitoring and reporting all green assets and reduced liability. This will provide documented quantitative relationships for building performance, mortgage performance and a regulatory finance framework. These new green metrics throughout the buildings life cycle will provide documented tangible evidence of green benefits to green investors. A project “greenness” can now be documented and verified. Using these newly established “green metrics” can establish a baseline for the emerging trillion dollar green ESG bond market. The green element “greenness” will effect the momentum, market rate, dedicated green investors, and emerging regulatory environment. The United States is the current world leader with Fannie Mae and Freddie Mac underwriting over 25 billion dollars in green mortgages in 2017. Currently Europe(EU) is building a common database of energy performance certificates (EPC’s) which will be included in the green underwriting of properties with an A- D green energy rating. The (EPC), is an EU requirement for all buildings.Properties with a E-G energy rating will remain in the “grey zone” and not be qualified for a discounted green mortgage. A research study by Pearl indicated that 37% of private Landlords that own a property in the F and G rating could not afford to increase their EPC rating. With the average energy efficiency increase cost of EU 5,800. Therefore individual EU member states are considering a tax deduction for landlords to obtain a higher rating. The EU is considering increasing the minimum EPC rating for privately rented homes to level C by 2030. Eighty two percent(82) of newly constructed homes in 2017 had an EPC rating of A or B. All of these homes qualify for a green mortgage. To facilitate the introduction of the EU green mortgage, Barclay’s bank issued an E500 million green bond to provide financing for the lowest carbon buildings. The offering was oversubscribed to E2billion indicating demand from institutional investors.The properties will be identified using the EU government EPC’s. Research shows 19 million properties fall short of Level “C” which is equivalent to 70% of The United Kingdom 27 million homes. Improving the energy efficiency in EU buildings is an attempt at improving national infrastructure, reducing carbon emissions, which effects climate change. The EU 2012 directive is to increase the efficiency on buildings to 20% in 2020 and 30% by 2030. The EU energy/water performance standards are: Net zero energy standard for new construction, or 20% better than national standards if a net zero standard is not in place. For renovations 30% reduction in energy/water consumption requiring a new energy performance certificate for verification.